A usage example of the vue-autonumeric component. 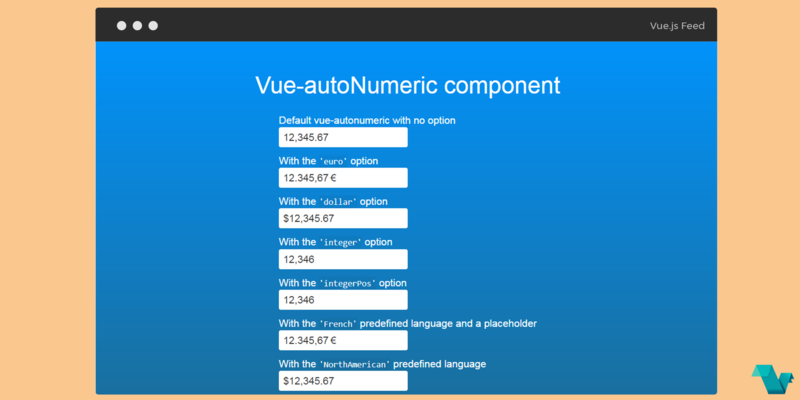 A Vue.js component that wraps the awesome autoNumeric input formatter library. autoNumeric is a standalone library that provides live as-you-type formatting for international numbers and currencies. vue-autoNumeric is hosted on GitHub under an MIT license.